What I love about Deb is that she takes the time to find out your needs and tailored her training specifically to our requests. "The Alzheimer's Association has used Deb Cabral and DC Efficiency Consulting to provide personal and professional development to our staff for the past few years. What I love about Deb is that she takes the time to find out your needs and tailored her training specifically to our requests. She learns about our business and uses examples that are relatable to our staff's day to day life. She is an engaging speaker who uses energy, humor and confidence in her presentations. We highly recommend her services." Deb delivered a presentation entitled The Multi-Tasking Myth that our staff really enjoyed. After realizing the amount of time that can be wasted when you are not focused, many of our staff said they will be trying the Pomodoro Technique and other strategies that Deb taught us. Deb was very personable and staff were eager to ask questions and share their own experiences. Deb's time and expertise is invaluable, for yourself and your company! Deb is enthusiastic, engaging, and incredibly knowledgeable. With every presentation she offers quick, easy tips to get you and/or your employees hitting the ground running. Her time and expertise is invaluable, for yourself and your company! She was incredibly knowledgeable and personable. Deb was one of the best speakers we have had! She was incredibly knowledgeable and personable. Loved to listen to her. She did an excellent job! We received very positive feedback from the students and they really enjoyed hearing Deb speak! "Thank you so much for speaking to our Student Leaders! The information you provided was exactly what they needed to hear! We also received very positive feedback from the students and they really enjoyed hearing you speak. I believe they will take to heart what you told them and use it in the future. Thank you again for presenting this workshop and we definitely look forward to working with you in the future!" Deb Cabral is a dynamic and engaging speaker who provides clear and effective strategies for so many of life's challenging circumstances. Whether it's organization, time management skills, or simple conflict resolution, my staff have continually taken away practical solutions for their busy lives; every time she has been with us. I thoroughly enjoyed the workshop on How to Become A Rock Star Speaker! Thank you Deb! I thoroughly enjoyed the workshop on How to Become A Rock Star Speaker! It has given me better clarity and a better process to create trainings and hold meetings. I am using the tools and information you have given me to develop staff training (I refer to the handout quite a bit!). I am really excited about the upcoming trainings you will be doing for the YWCA. I have also asked my supervisor to take a few other workshops that you offer. Thank you for giving me such great information! Deb was motivational! Her Keynote was informative and kept our attention! On behalf of the Financial Management Association I want to extend a huge thank you for the Keynote Address and Breakout Session you presented at our support staff conference last week. Some comments from attendees included: "Deb has a lively personality. Deb was motivational. Her keynote was informative and kept our attention". Your participation really helped us to make this day be enjoyed by one and all. Best wishes for continued success of your business and I hope to work with you again in the future. "I am a local teacher and Co-Chairperson for the Regional Educational Conference held annually at the Utica Radisson Hotel. Recently, I had the pleasure of utilizing Deb Cabral's talents at our conference. Deb was a workshop presenter on "Tips and Ideas to Organize Your Classroom", and she delivered a short keynote address to all the participants. The feedback we received from attendees was excellent. Her keynote about different personality types was light-hearted, entertaining, and relatable- just what was needed on a Friday night! Her workshop provided many practical ideas that could be implemented immediately. Deb motivated and inspired us all both personally and professionally. From my initial contact with Deb to the event itself, my experience was outstanding!" "Deb's positive and delightful demeanor helped to make our declutter day a tremendous success. Everyone was up out of his/her chair ready to chip in and help make our hallway more efficient and professional. With gentle reminders, pointers, and encouragement she was able to get even the culprits of the messiest desks back on track. I wouldn't be surprised if she could make Oscar the Grouch a little more cheerful in a shiny clean trashcan." After Deb's enthusiastic and informative training workshop on Time Management, the team was ready to go! Building efficiencies and effectively using our time at work and home will always be an on-going effort. THANK YOU to Deb for raising our awareness regarding the importance such results have on business productivity and personal peace. In a world of challenging schedules and budgets, Deb's presentation was definitely a worthwhile investment of our time and resources." "What a great presentation on DeCluttering Your Desk! Throughout your talk, you kept people's attention by providing interesting stories and tips. I look forward to having other opportunities to learn more from you through your additional workshop offerings." "Deb's presentation was the catalyst we needed to get our employees focused on our impending move. She provided excellent tips and inspired everyone in attendance to stop thinking about packing and actually do something about it!" "When I was first asked to lead the United Way's moving process the building filled with more than 30 years of paperwork, materials, furniture, and miscellaneous items looked like Mount Everest to me. No one knew where to start. Thankfully, Deb was able to assess our building and help us make a plan of action. She went through every office space and closet helping us to determine what to keep, what to sell, and what to toss. She spent hours actually digging through the mess right along side us. Once we determined what we were taking with us to the new building and what we were tossing, Deb helped us to organize and structure a community-wide garage sale. With her help, we were able to cover more than half the cost of the moving service... more than $2,500! From a mess the size of Mount Everest to a more manageable move, Deb was there every step of the way. I don't know what we would have done without her. She was a lifesaver!" "Deb- Thanks so much for your great presentation....love your energy!" "I enjoyed your very enthusiastic and inspiring presentation. You provided some great tips on how to stay organized. We will keep you posted on our continued progress and ability to maintain well organized work areas." "Deb Cabral did a great job presenting a Time Management seminar for my practice managers. I will be using her again very soon!" "If you want to be on top of your game, you will become organized and stay organized with Deb Cabral. She has a way of getting you motivated and staying motivated like no other. I have used her professionally and personally and she has what it takes to motivate you in a positive direction and have you enjoying the process all along. What are you waiting for.... get started today!" "Deb recently came to speak to the Zonta Club of Utica about the different ways she helps her clients declutter their lives. It was very informative and gave us some great tips on things we could use right away to help make our lives more simple. Her enthusiasm is contagious! She is a wonderful speaker and it is a pleasure to recommend her to others." "I was more than pleased to see the motivation that Deb Cabral sparked in all my staff. Many workers started the next work day clearing out paper clutter. As a team we will work on organizing our time to be more efficient with all the tips that were presented to us. What I had hoped to stimulate for my staff by providing this workshop happened to a greater extent than I imagined. I am looking forward to a more organized work environment and for staff to be more efficient and productive. Thank You Deb!" "The Women's Fund was honored to have Deb Cabral as the keynote speaker for a recent fundraising event. Deb delivered an outstanding presentation, clearly demonstrating her organization expertise and her innate talent as a teacher and communicator. She was a delight to work with and, despite her busy schedule, was always available to assist our committee with planning and publicity. Deb is not only an amazing talent, she is a genuinely generous person with whom I am proud to be associated." Participants raved about the presentation. "I was pleased to have Deb speak at our recent NYSUT Annual Retired Teachers Conference in Syracuse. This conference includes 5 counties. The presentation of choice was Deb's. it was the most highly attended break out session. Participants raved about the presentation. Thanks Deb for getting us on the right track!" "We were pleased to have Deborah Cabral address a group of 60 credit union leaders recently. She gave an outstanding presentation on ways that we can enrich our personal and professional lives simply by becoming more organized and eliminating clutter. The topic was of so much interest we had the greatest turnout at the event in years and I received significant, very positive feedback from the group." "While the Boilermaker boasts a volunteer staff of thousands our staff is very small. Managing all those people is a challenge that demands efficiency. Being in our building for over eleven years we saw an accumulation of 'stuff' cluttering up what little storage space we had. Deb came in and decluttered and organized our office area clearly making us a more efficient organization. Her let's roll up our sleeves and do this attitude is infectious. Races are all about time. Thank you Deb for giving some of ours back!" "Deb recently came to speak to a group of our employees about "DeCluttering for a Healthy Life". She offered fantastic advice and applied practical solutions to incorporate into our everyday lives at home and work. Employees walked away feeling inspired and motivated to make changes to their current habits and identified ways they can avoid the unnecessary stress of being disorganized. Thank you Deb!" "Deborah Cabral spoke to the Mohawk Valley Business Womenâs Network as part of our programs on Organizing Your Office. Her presentation was very informative, inspiring, upbeat and knowledgeable. She was clear, concise and one of the finest presenters we have had. We will all remember her DOM Theory, Declutter, Organize and Maintain, when it comes to organizing our businesses." "Just a short note to tell you how much The GE Elfun Retirement Group enjoyed your presentation here at Preswick Glen. There were many favorable comments about your tips and many look forward to your next presentation here at Preswick Glen in the spring. Thank you again." 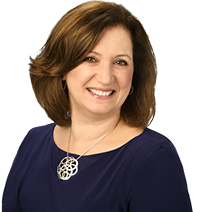 "Deb Cabral recently spoke at our monthly meeting for The Mohawk Valley Financial Women. Her presentation was dynamic and informative. She provided us with tips on how to be more efficient and to increase productivity, which are essential in any business. Deb has the knowledge and talent to help your organization increase it's bottom line with her effective analysis and training methods. I would highly recommend Deb to any organization. " "Deb shared her expertise with our Go Red for Women Team on How to Declutter for a Healthy Life . It is amazing how clutter can affect so many aspects of our lives including our overall health. The overwhelming response to her presentation was Deb was informative, professional, inspiring and motivational. Many said they were starting today and scheduling 15 minutes to start decluttering their space. Thank you Deb! " Marguerite Lynch, Community & Regional Affairs Manager, Excellus BlueCross BlueShield. "Before Coach Deb, my office looked and felt like it was ready to pop, it was so full of stacks of papers and project files and junk! She came in like a whirlwind, helped me get everything squared away, and now my MVCC colleagues and visitors really notice the difference. It has made our operations even more efficient, and it has had the side effect of creating a nicer space for our team to do creative work together. Thanks Deb!" "Through the employee wellness program at GKG we provided employees with a lunch & learn from Deb Cabral on how to organize life and work. The session was very well received by employees! In our employee feedback survey everyone ranked the presentation as very good or excellent. Our employees walked away with several important tips to help them organize their lives which will hopefully result in less stress and a better quality of life at home and at work. We are already looking at other topics that we could bring Deb back in to discuss! " I am taking advantage of every suggestion too! "My company has downsized our office to half of what it was. I thought it was well organized and looking forward to the new size. However, when Deb spent some time with me, I realized how much more productive our staff will be with the new procedures she developed and the suggestions she provided. I am taking advantage of every suggestion too! Even the small things she did, such as labeling filing cabinets and supplies will make for a largely productive staff. In three hours, Deb and I were able to tackle what would have taken me the rest of the summer. We are now ready to prepare for the upcoming season and will continue through the summer and fall executing the plans that Deb created in our new offices at 8457 Seneca Turnpike, New Hartford. Thank you so much Deb!" "Thanks so much for speaking at our NAPO Greater Philadelphia Chapter Meeting. You have such a great spirit. You were absolutely fabulous! Your Energy & Expertise was Exhilarating (the Triple E's). I love the way you think outside the box "Adding Revenue Streams" to our businesses was a great topic. I walked away feeling so excited about implementing some new ideas to my business. The feedback from the chapter members was phenomenal. "She's a enthusiastic motivational speaker". I definitely would recommend you speaking at the NAPO Conference and other NAPO Chapter meetings. Thanks Deb." "We were so pleased when Deb, Mary Carole and Gavin came to the Rescue Mission to help sort out our board room donation area. So many items had come in for several different drives that while we were still able to help many people with them, it was taking a while to get to what we needed. And with the holidays just around the corner, we knew it would be difficult to get everything in a place where we could find it easily. When the team from The DeClutter Coach came in, they were like a breath of fresh air and not only organized our space, but motivated us to keep it that way by how they set it up. They were also very upbeat and involved not just my staff, but some of our program residents as well. We are reminded that everything we do teaches our homeless men and women how to live better. The DeClutter Coach team is really a part of that mission to make living spaces ones that raise the dignity and self worth of those who live in them. Blessings to you, Deb and your whole team. We are believers!" "Deborah Cabral, The DeClutter Coach, was a presenter in September 2012 at my annual state-wide conference called "Inspiring Success: The Women TIES Retreat. " I choose Deb for a special presentation on adding staff to grow a business since she has done a stellar job growing her own company. She presented a similar topic for my organization Women TIES earlier in the year and did such an outstanding job I wanted her to speak again to a larger audience of women entrepreneurs. Deb has a personality and presentation style that lights up the room and captivates the audience. Her energy and enthusiasm for her business is simply inspiring. Her words of business wisdom are always exactly what the audience is looking for. I would highly recommend Deb for any speaking engagement where the organizer is looking for a high spirited, articulate, organized program full of energy and excellent advice." "The Managing Time & Priorities Workshop was life changing for me! This is the first workshop that actually showed me how to physically set up systems, manage e-mail, piles of papers, phone calls, people interruptions and deadlines. I am able to handle more work as a result and feel a huge burden has been lifted. My co-workers call my office "The Zen". Any employer interested in efficiency and getting more from their employees should host this workshop. Thanks Deb." "I worked diligently in 2012 to bring Deb Cabral to speak at one of our chapter meetings. I had multiple HR professionals and local officials recommend that we have Deb speak to our chapter. In October of 2012, Deb presented the topic Driving Efficiency and Productivity. The program evaluations for this presentation had nothing but praise! The workshop focused on how to implement effective time management skills, prioritizing work, creating an effective daily schedule and To Do List as well as decluttering, organizing and maintaining an efficient workspace. I recommend Deb Cabral, whom I have had the pleasure of knowing as a true professional. Deb has spoken at other annual state-wide conferences and has won the SBA Excellence in Small Business Award in May of 2012. She offers Efficiency Consulting and Corporate training and has worked with many companies in the Mohawk Valley. I have no doubt that Deb Cabral would be an extremely valuable speaker and I give my highest recommendation. " "Deb recently taught a workshop for us on obtaining NYS and Federal WBE-Women Business Enterprise Certification. Her presentation was awesome and all of the evaluations came back with an excellent rating. She made the very extensive process of certification much more manageable for attendees. They left the workshop understanding how to start the process and the best steps to take to be successful. We look forward to Deb presenting future workshops for us!" "Deb did a presentation about Stress Management at our credit union. She spoke with such exuberance and conviction that our employees took her advice to heart and acted on it to make positive changes in their lives. Thank you, Deb, for taking the concepts and making them actionable!" "We were happy to have Deb speak at our Rotary District Conference at Vernon Downs Casino Resort. We received positive feedback from attendees. Many said the presentation on Handling E-Mail Effectively was fantastic! Thanks Deb for providing us with some insight into this important topic!" "I wanted to tell you how much I enjoyed your presentation at the Women Ties event last week in Rochester. Your excitement, energy and drive sent me out the door with a lot of motivation for my business! " "Thank you so much for coming to MVCC and presenting your workshop to our students here at CollegeWorks. Our students enjoyed your presentation and came away with lots of good ideas for organizing their backpacks and living environments too. Thanks again for taking the time to offer your valuable expertize to our students at CollegeWorks!" "Deb's workshop on Stress Management was well received by the company. She easily related and connected to the staff. Everyone left the session feeling excited to try new tips and ideas!" "Deb: It is hard for me to express in words how grateful I am for your support and willingness to serve as the Honorary Chairperson of our luncheon. You are one amazing lady with a generous spirit that shines through all that you do. What an honor to have your endorsement of our organization and services. THANKS SO MUCH!!!! You are a jewel - I feel so blessed to know you!" "Deb Cabral is a dynamic speaker who engages the audience immediately. Her energy and enthusiasm is infectious as you get on-board to hear all the worthwhile and thoughtful information she has to share. Our MARCPO attendees gave her high marks!" "We were extremely pleased with the efficiency and professionalism exhibited by Deborah Cabral and her team during our recent file re-organization project. The end result has created a more organized filing system which has increased employee productivity. Thank you Deb!" "Deb's program is phenomenal! We have had her do programs for both our staff as well as our clients. Each time I walk away energized with new ideas. She keeps the program exciting and the audience engaged. Her program is perfect for both the office and at home! "